This magnet is a 2.5 in. 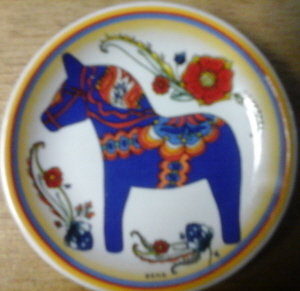 diameter plate with a blue Dala Horse on it. This is a ceramic plate magnet.